Perhaps some of the best clues to deciphering Indus seals may lie in the Arabian Gulf, where inscribed seals seem to have arrived and taken root just as they disappeared in Indus cities around 2000 BCE. 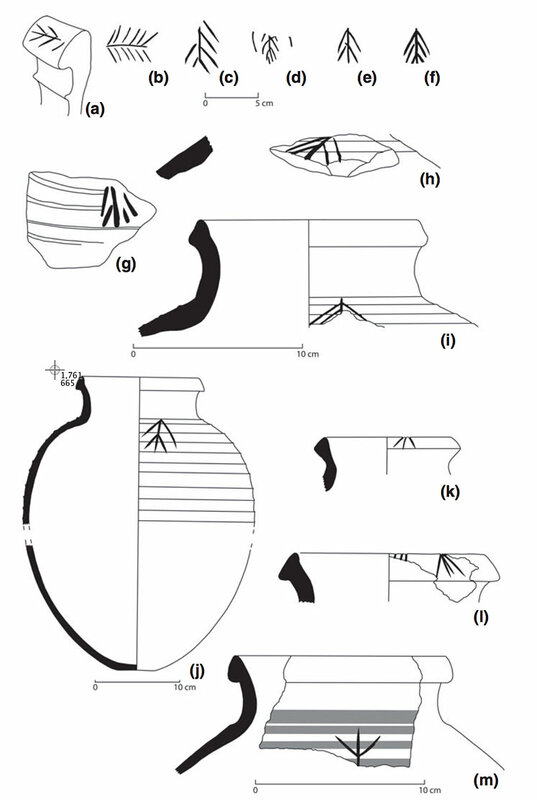 "The Harappan sealing tradition, however, continued in Dilmun long after it had vanished from the Indian subcontinent and lived a vibrant life of its own," writes Steffen Laursen. Indeed, "the new sealing technology was apparently still conceived as something of a novelty by Dilmun's general public." 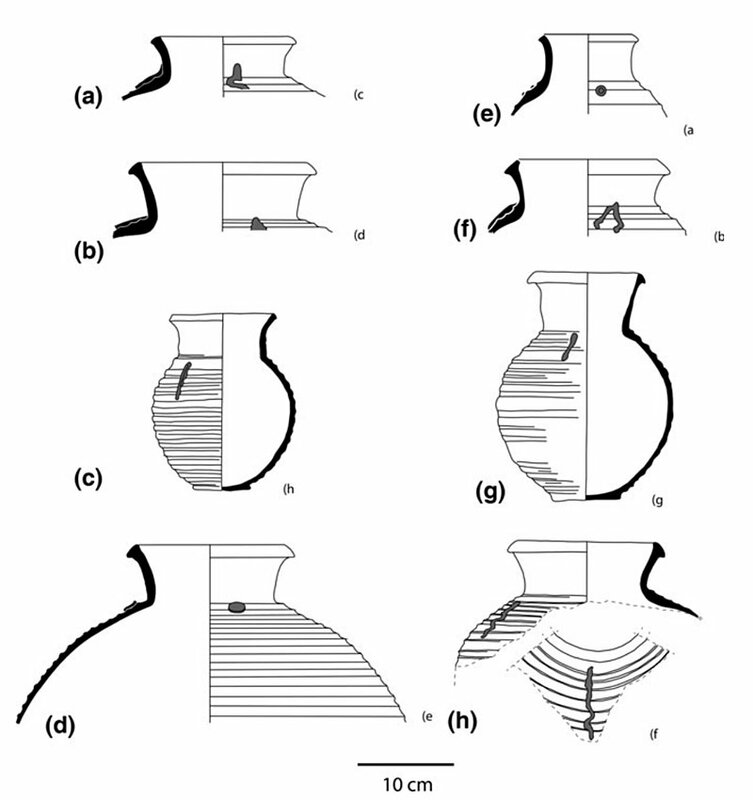 This leads to one of the most surprising findings in Dilmun, that of "pseudo-string-and-sealing appliques" on Dilumn pottery, in other words, representations of seals and cords drawn on pottery [Images 1,2]. This is apparently found nowhere else in the world! "Besides being a symbolic and ornamental function it is clear that they did not serve any practical purpose," writes Laursen. Although most of his careful speculations are fairly drawn from evidence, on this point one wonders whether the representations were there to remind the receiver to check for a sealing? 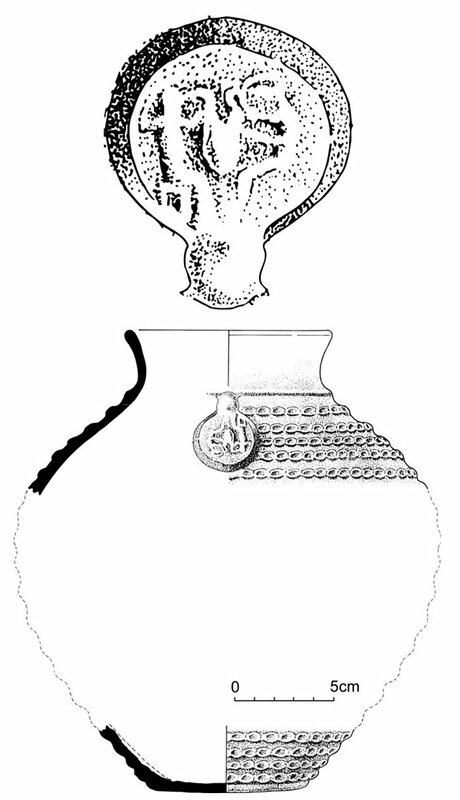 If it is was something new, to seal pottery vessels with clay stamped token, could this not make sense? Or could they serve, as they often do now on goods, as a symbol of quality, a brand of some sort? Laursen's paper pulls together many facts nicely, and opens the question of whether seals may have functioned similarly in ancient Indus cities and places. 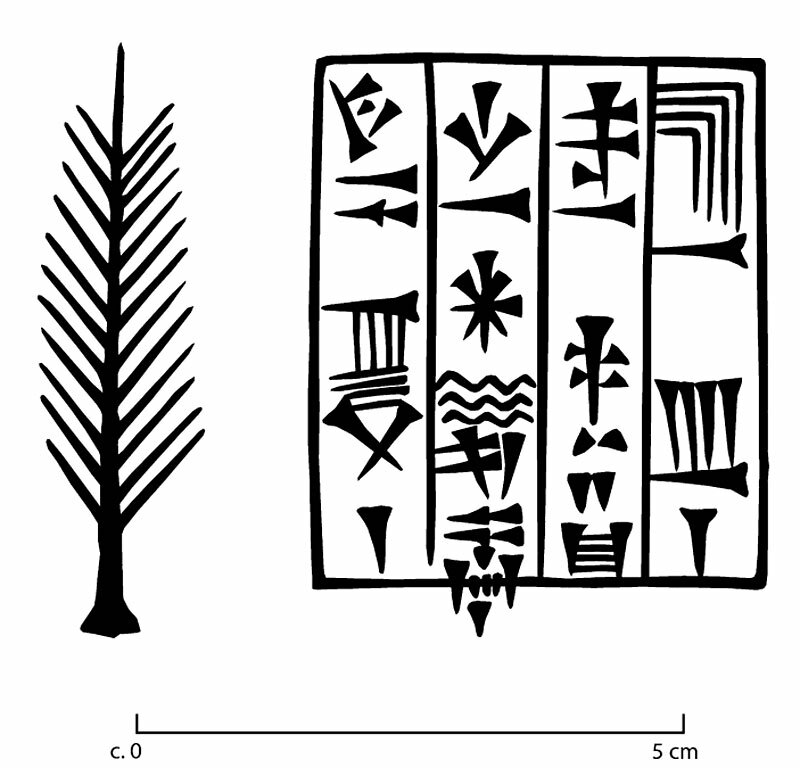 Fortunately in Bahrain [Dilmun], seal representations and signs have been found associated with royal burial mounds, allowing him to relate some signs to temple institutions or offering stands, with the palm strand in particular playing a role in a royal inscription that can be translated as "Palace of Rimum, servant of Inzak of Agaru(m)," with Rimum possibly being a local ruler, Inzak the local deity, and "Agaru(m) the indigenous name used for Dilmun or parts thereof." 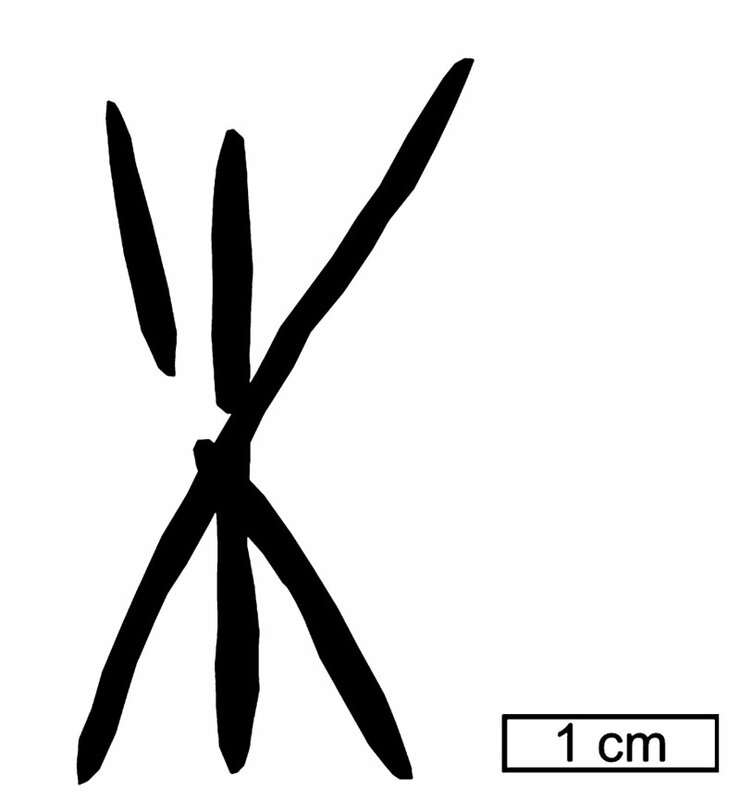 (p. 15). This seems entirely reasonable – look at the economic prowess of temples and shrines today in the subcontinent. Business is a matter of relationships, enforced privileges, ownership of land and of manufacturing facilities, then and now, and these were likely communicated through seals and sealings. An excellent read. Originally published in Arabian archaeology and epigraphy 2016: 27: 2-18.